French state bank BPI finance projects in Iran - IRAN This Way: Become familiar with Iranian lifestyle! 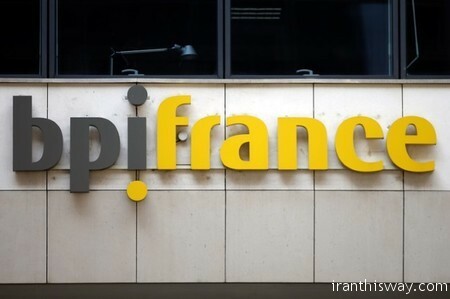 Bpifrance, the country’s state investment bank, will finance investment projects of French companies in Iran from 2018, granting up to 500 million euros ($598 million) in annual credits, its CEO said in a newspaper interview on Sunday. “Excluding a force majeure case, we will be on their side in early 2018. We are the only French bank that can do it without risking US sanctions for a possible breach of remaining embargo rules,” Nicolas Dufourcq told Le Journal du Dimanche, Reuters reported. The deal Iran struck in 2015 with six major powers lifted many sanctions against the country in exchange for restrictions on its nuclear activities and paved the way for international business deals. But many banks have stayed away for fear of inadvertently breaking remaining US sanctions, which could lead to huge fines. Because the BPI has no operations abroad, notably in the United States, it is not exposed to possible fines for US sanctions breaches. US President Donald Trump has created new uncertainties over the US stance towards the Iran nuclear agreement. Trump told reporters this week that he had made a decision on what to do about the agreement but would not say what he had decided. Several Franco-Iranian deals were announced during Iran President Hassan Rouhani’s official visit to Paris in January last year. These included a joint venture between carmakers PSA Peugeot Citroen (PEUP.PA) and Iran Khodro as well as plans for Iran to buy Airbus (AIR.PA) aircraft to update its ageing fleet. There were also deals in the oil, shipping, health, agriculture and water sectors.